The "Vædderen" is currently shadowing the Greenpeace-boat "Esperanza", which has moved into waters east of Greenland to protest against Arctic oil drilling. Denmark can thus be heading into a confrontation with Greenpeace. The "Esperanza" is following the oil rig "Leiv Eiriksson", owned by Scottish oil company Cairn Energy, which has a permission to drill for oil off Greenland. The Navy allegedly sent armed commandos on board the rig. 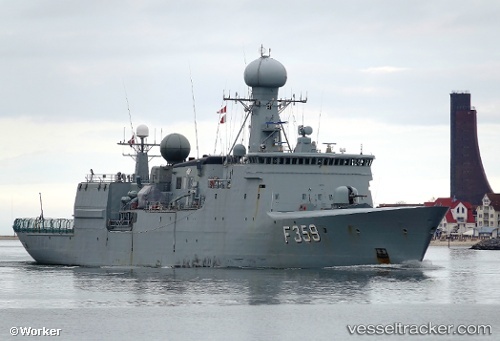 The "Vædderen" is officially carrrying out maritime surveillance in the area and will monitor developments and report what the "Esperanza" is doing. Cairn Energy plans to implement four test wells at depths around 1.5 km, which supposedly is the deepest drill ever attempted in the Arctic waters.